I've always wanted an action cam, but never got round to really checking them out. 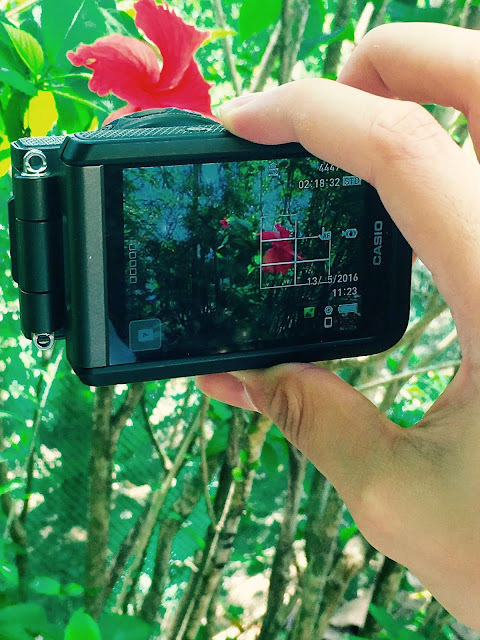 So when I was given the opportunity to review the new Casio Exilim FR100, I was over the moon! Excited to see what it can do, I started planning a bunch of adventures - only to find, life gets in the way lol. But that's a story for another post; this one, well I'm going to tell you everything I have experienced with this action + selfie cam so far. Let's get the nitty gritty out of the way: The Casio EX-FR100 is an outdoors camera with a detachable LCD screen. The screen can be folded over, or detached completely. This makes it so much easier to take selfie shots and those hard-to-handle spots: you can know exactly what the shot is going to look like before you click the shutter, and you can place the lens in weird places just to get that amazing shot! Speaking of the shutter, there are two capture buttons: One on the lens and one on the screen - super convenient! To separate the two, just use the release button on the side of the LCD (I got a bit confused about this at first, so it's good to take note). The FR100 is waterproof, dust-proof, and drop-proof; basically everything an action camera needs to be. I was pretty sceptical about the waterproof part at first, because how does a camera with usb charging ports on the side not get waterlogged?? I still don't know, but it works, and supposedly can go up to 1.5m deep for 60 minutes. Unfortunately, I haven't had the chance to verify this yet though. The screen connects to the lens via bluetooth, and you can connect the camera to your phone via wifi (and the Casio app), which means you can upload on the go! Just download the Exilim app and you can even edit those photos before putting them online. It's great for work - when I need to upload things asap! 3. 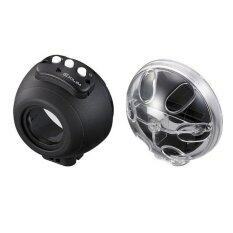 Underwater case - for diving trips! Overall, I'm very happy with the FR100, and can't wait to take it on more adventures! Since starting my new job I haven't had nearly as much selfie time, but maybe that will change soon =P The FR100 is great for travelling, as it's lightweight, versatile, and basically a 2-in-1. The only problem I've had with it so far is the battery life, as it seems to drain fast when taking videos. Also, having to charge both lens and screen separately can be a bit of a hassle, but expected since they are detachable. 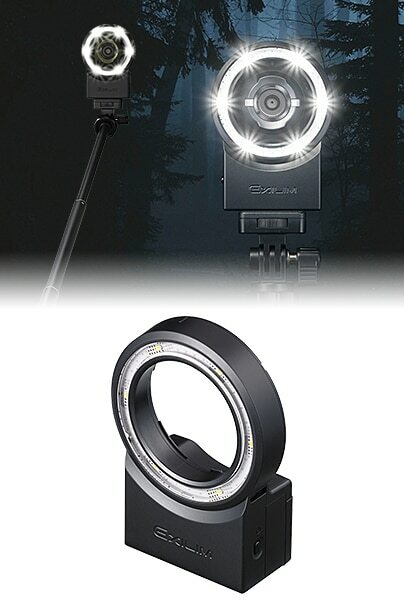 A small tip is to power off from the lens, as that will automatically turn off the screen as well. #hitzEscape: Where Can You Go With Just RM400?